So, you’re thinking about purchasing a Range Rover or Land Rover. Maybe you just want to know if they are reliable but wouldn’t actually own one. Either way, you’ve probably heard tons of horror stories about their reliability. Are they actually as unreliable as people claim? What if people actually took care of them? What about the older Land Rovers, you know, the safari type ones? Well, first let’s look at Range Rovers and Land Rovers of old. Ah, the golden ages of off-roading. Back when Range Rovers and Land Rovers built their vehicles like absolute tanks, as were most off-road vehicles. Land Rover based the Defender on the original “Series” Land Rover. 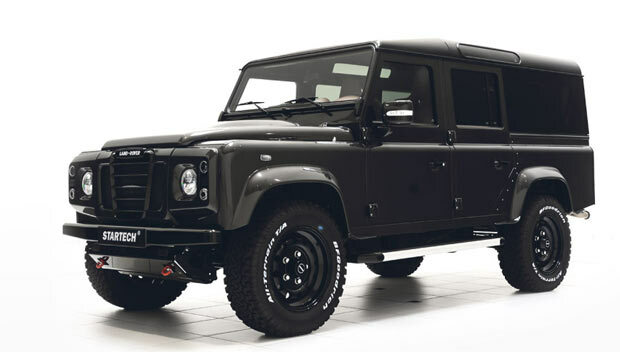 They built the Defender for off-road exploration and utility usage. Wanted to go to the middle of the desert and camp-out? The Defender was always up to the task. But, was it reliable? Well, if it breaks down when you’re out on a crazy excursion you’d be screwed. For this reason, Land Rover built the defender to withstand the harshest of conditions, and maintain its reliability for the long term. So yes, it was fairly reliable. Was it a Honda Civic or Toyota Corolla it terms of long-term reliability? No, but neither was its main competitor the Jeep. However, it’s other competitor the Toyota Land Cruiser is arguably the most reliable of them all. RELATED: Jeep vs Land Rover: Which One is Better? Fast forwards in time and Land Rover is producing the Discovery I. You can literally watch any safari type of movie ever, and you’ll probably see either a Defender or a Discovery I somewhere in the film. Much like the Defender, Land Rover built the Discovery I around the off-road lifestyle. It was tough, it was spacious, and it could go nearly anywhere. But, was it reliable? Just like Defender, it was pretty reliable, especially the diesel models. This is also around the time that Land Rover really start to shift their focus on creating luxurious vehicles. Fast forwards even more and you have the Discovery II and the Range Rover P38. Just like the vehicles before them, Land Rover built them for rough off-roading and utilitarian usage. But, Land Rover realized its customer base was looking for more than just an off-road vehicle. They wanted something more. They wanted better on-road handling and more luxury features. Land Rover started to implement features such as air suspension and active anti-roll bars. While these features made for excellent road manners, they can cause major issues later down the road. Well, both myself, and Kristoffer Smith write for this website. We have both have owned a Discovery II at some point in our lives. So, how was our experience in regards to our personal Land Rovers? 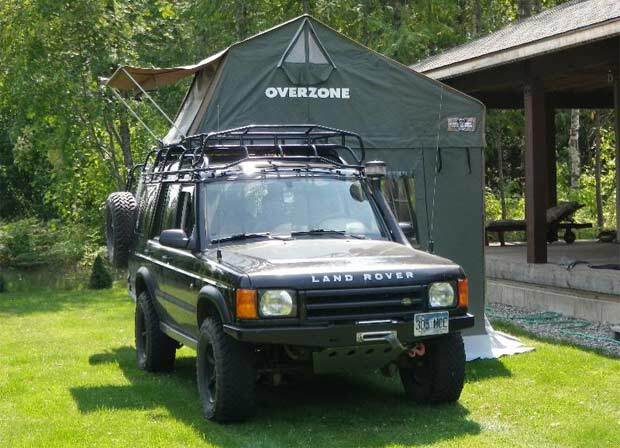 Bryce’s Land Rover: Well, let me start this off by saying my 1999 Discovery II cost me $1,500 and hadn’t moved in over 3 years. The fellow who owned it before me took the fan off of it and put it on his other Land Rover because it broke on his other one. He never replaced the fan he took off, and let this Land Rover sit for years. I purchased it, drove it around for a while until I realized it was eating coolant. I assumed it was head gaskets, so we rebuilt the entire top end of the engine. It seemed fine until a month later it was out of coolant again. Come to find out, the engine had a slipped cylinder sleeve and basically needed a new block. A slipped sleeve can happen if the engine overheats badly. I decided doing a block swap was to much work, and sold it a few weeks later to a Land Rover enthusiast for $2,200. 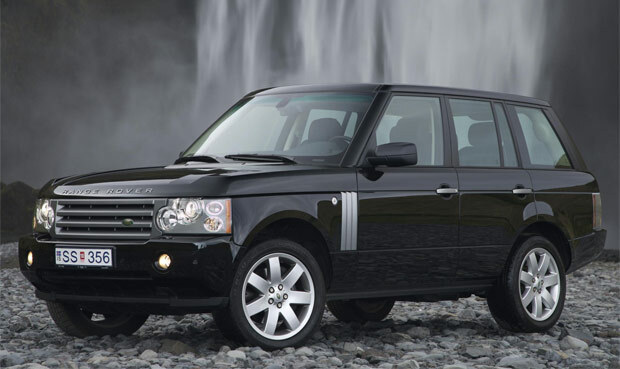 RELATED: Land Rover vs Range Rover: What’s the Difference? So my personal Land Rover wasn’t very reliable, but that was because the previous owner had let it overheat pretty badly. 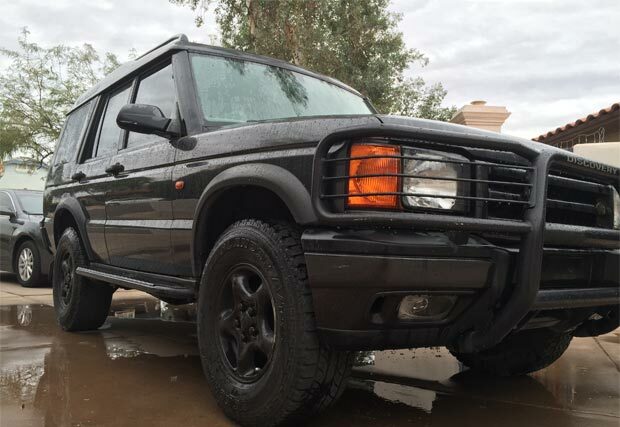 Kristoffer’s Land Rover: My 2000 Land Rover Discovery II has had more issues that I can count. It has minor leaks on everything, the window gear will eventually break on most of the windows including the sunroof, and there are factory flaws in many of the electrical systems. While I could go on for days about how broken this truck gets every year; at the same time, I have always trusted that it will pull through on an adventure. The solidly built ladder frame and beefy front and rear axles make this truck a tank at heart. I have taken my Discovery through the desert, across frozen forests, and up the summits of dormant volcanos. It did off of this while being my daily driver to work and back every day for the last 5 years. When you treat these vehicles right, they will be good to you for many years to come. My Land Rover has just under 200k miles now and is in the process of getting some well-deserved upgrades to the suspension after the many years of abuse. What About The New Models? The Discovery II and the Range Rover P38 were the pivotal points for Land Rover’s mission. They still had off-roading in mind when designing them, but definitely focused more than ever on how they performed on the street. After all, most Range Rover and Land Rover owners will never actually take them off-road. So it would make sense to make sure the vehicles that they are building perform well on the street because that’s where the vehicle will be for most of its life. 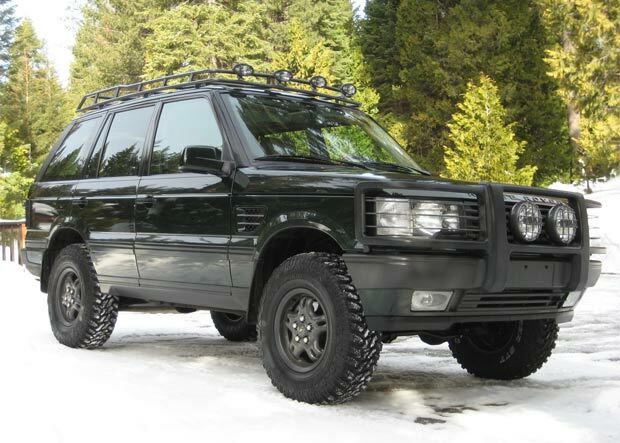 The P38 is nearly as off-road ready as the Discovery II, but it featured more luxury features. Basically, Land Rover designed the P38 Range Rover for street use. Essentially, Land Rover designed every Range Rover after the P38 focused more and more on road manners. Can you off-road a newer Land Rover or Range Rover? Of course, but they don’t do as well as they used to. Big rims, super low profile tires, independent suspension, heavy curb weight, terrible approach and departure angles, these are all things that make newer Land Rover and Range Rover bad off-road. 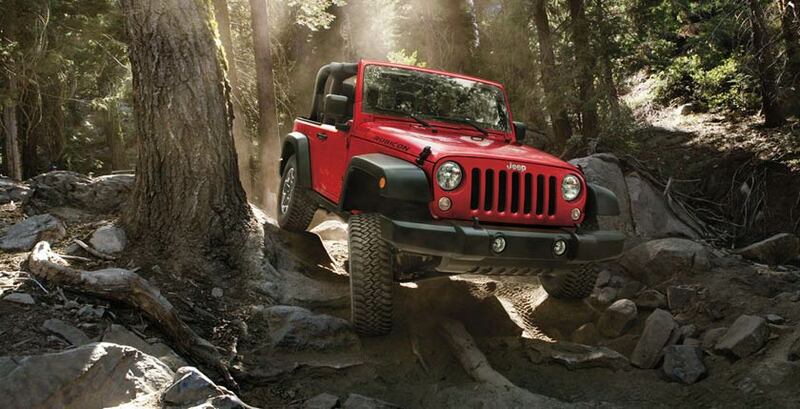 What does its off-road ability have to with its reliability? Well, if you know anything about off road racing, then you’d know that the vehicles are built extremely tough. When you are off-roading, the vehicle can go under some major stress. If it’s not prepared to be driven through super rough terrain, in remote locations, then it will end up breaking really easily. When you are in the middle of the 110* desert, 50+ miles away from civilization, the last thing you want is your vehicle to break. Basically, off-road ready vehicles will be more tank-like than standard road-ready vehicles. So are they actually reliable vehicles? Well, yes and no. The older ones are much more reliable than the newer ones, but that is true with nearly all automotive brands. The older Land Rovers were known for their off-road ability and could be seen in nearly any Safari movie or video. So, what happened that made them less reliable? Well, a change of course in the Land Rover company. 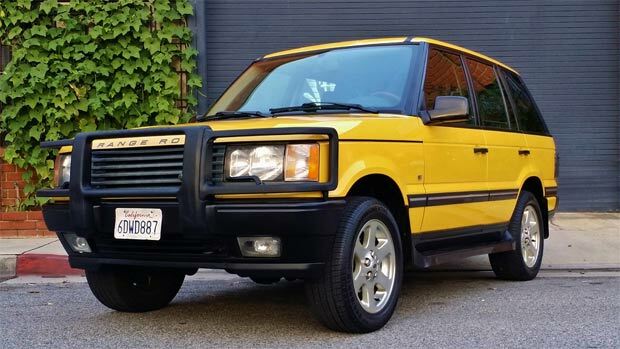 RELATED: Is The Discovery II The Last Real Land Rover? After the P38 Range Rover, they focused less on making their vehicles bomb proof off-road and more on making it comfortable on the road. How do you make something more comfortable on the road? Electronic gadgets and gizmos to make it smoother, quieter, and more convenient. All of these things add up to the vehicle essentially being less tank-like, and less reliable. Something I hate to bring up, but the British have been known to make fairly unreliable vehicles. (Lotus, Jaguar, McLaren, ETC.). Maybe it’s just a British thing, but the new Land Rovers and Range Rovers are not reliable at all. Well, I wouldn’t just tell you that the new Range Rovers and Land Rovers are unreliable without backing it up. From 2007 to 2016 the Range Rover’s best score from JD Power Associates regarding reliability was a 3/5, or 6/10. Out of those 9 years of ratings, 8 of them were 2.5/5 or less than that. So basically for 8 out of the last 9 years, it has scored below average in terms of reliability. Further investigation will show that the Land Rover brand has around 179 problems per 100 vehicles. The only companies worse than that are Dodge and Mini. 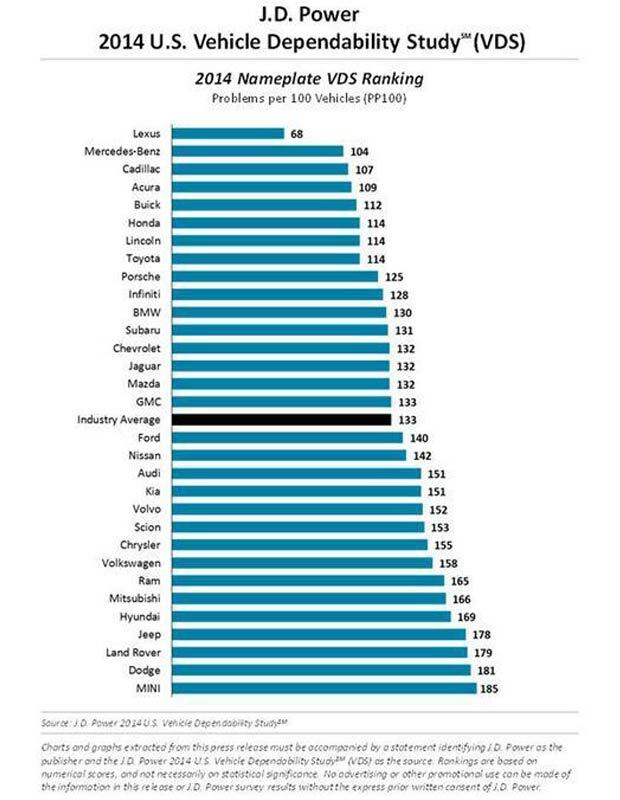 Funny enough its off-road competitor Jeep is basically just as bad at 178 problems per 100 vehicles. Whether or not they are worth it is a very difficult question to answer. This is because everybody views the Land Rover brand differently. Some people look at them as a “status” symbol and will pay whatever the cost is to look rich, even if they can barely afford it, some people actually have money and just want a really nice vehicle regardless of cost, and some people are just loyal to the Land Rover brand, and always will be. In my opinion, the older Land Rovers are absolutely worth it. They are nicer than most modern cars, but are still solid-axle and can take a beating off-road. I loved my Discovery II before the engine exploded, it was hands down the nicest vehicle I’ve ever owned. Newer Land Rover and Range Rovers aren’t worth it. You might get a ton of cool luxury features, but those features aren’t worth the cost of maintenance and repairs of a newer Land Rover. As you might have figured out with our personal experiences, previous owners are very important when purchasing a Land Rover or Range Rover. Make sure you buy from someone with service records and a meticulous attitude towards their Land Rover. Otherwise, you’ll end up with a horribly unreliable Land Rover and think that they are all that way. When in fact, they can be reliable. In 2014 a customer satisfaction study was done by the folks over at J.D. Power. What they found is rather amusing, but somewhat alarming. They found that all luxury brands had an excellent customer service experience. Those types of dealers will exceed your expectations and make sure you’re always happy. All luxury brands scored a way higher customer satisfaction rating than standard automotive brands, expect for Land Rover. Land Rover was dead last in the luxury brand study and was actually so bad that it’s comparable to Chevrolet. That’s right, you go in to buy a $130k Range Rover, and you’ll get the same treatment as some guy buying a $15k Chevy Spark. So, not only are modern Land Rovers incredibly unreliable, Land Rover doesn’t even offer good customer service to make up for it. Somehow people are still buying their cars. Comparing a modern landrover with a Honda civic is like comparing the space shuttle with a plastic fork and asking which is more reliable. The older landrovers are by far the coolest vehicles on the planet though. They have a purposefullness and simplicity that anyone with a farm or a mechanised army will appreciate. The mystique of Landrovers exploring far away places is something mere car makers can only try to replicate. I have a Landcruiser that I’ve owned for many, many years and is brilliant. My little fleet of landrovers get the work done on the farm though. The Defender is my daily drive and the wife’s is a Range Rover. I wouldn’t settle for second best. I agree that the older land rovers are known for their off-road capability and are usually seen in safari movies. 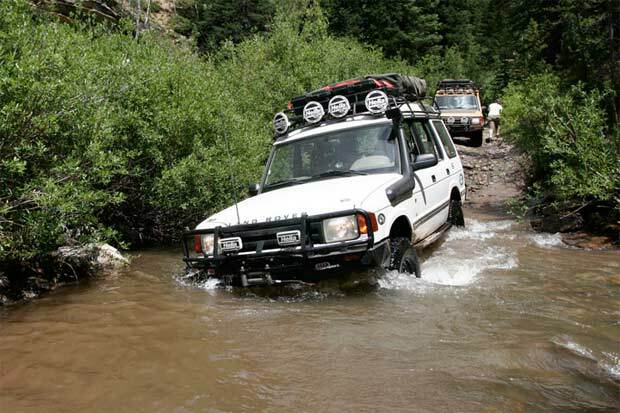 You also mention that older land rovers are worth buying since they are dependable and durable off-roading cars. I think it’s important to find a auto repair shop that specializes in older land rovers so that the parts they need will be available and high quality. It’s a fair point. On-line parts can be dodgy if they’re not produced by a genuine OEM manufacturer. You can do most jobs yourself very easily, so any mechanic can work on an old landrover. The new ones might require diagnostic equipment though. The oldest Rover I drive is 43 years old now and was my daily driver until I recently felt the need for a Defender. The newest LR I have is 18 years old and has air suspension. It’s a Rangie and the seats are the most comfy furniture I’ve ever owned. I was dubious about buying something so ‘new’ but found the air bags can be replaced in about 10 minutes each and the motor is essentially the same block as the 1960 Buick engine the old v8s were based on. Gotta love the Landies for simplicity. I know you know this and it probably makes you cringe. I hired a Range Rover when travelling to the countryside with my family, we had no issues at all with the vehicle, and had a really enjoyable experience. In 1973, I bought a Series III Land Rover in London, drove it down to Africa, across the Sahara, through West Africa, across the Congo in the wet season, through the Serengeti and over to Mombassa, Kenya. After touring Kenya for a few months I loaded the car on a ship and took it to India. From there I drove back to Paris over a few months. Guess what? Not one (1) problem. Well, I did manage to twist off the rear axle rod somewhere in Africa but I replaced it myself with a heavy duty part that I had brought along just in case. And I did manage to bend the front differential unit by hitting a ditch across the dirt track I was driving on much too fast. Still, I drove several hundred miles that way until I found a wrecked Land Rover and replaced my bent diff with the diff from the wrecked car. Sold the Land Rover when I got to Paris. You’re a liar and a poser. Lucky for you that the Internet is your fortress. I was sold a brand new Range Rover with a defective transmission. Has nothing to do with how I take care of it. Land Rover is aware and is using VERY unethical practices to claim to resolve issue. You should do more homework on this brand. I would NOT recommend it to my worse enemy. Since 1970 over 20 different have been good, bad and oh crap baked Esmeralda (86 XJ). Some 2 seat sports rigs, Saab Sonnet (totaled), Triumph GT6+, Karman Ghia, and Toyota Celica All Trac (143mph ticket) till it burned to ground. 4x4s from Ford, Chev, GM and Jeeps were mostly trucks, couple of Jeeps, 3 Suzuki Samurai. Now have an 86 Suburban to back up Bleu Duck 98 Discovery. Bleu has been to Utah, Oregon, Tahoe and all around California in the 15 months we’ve been trukin’. She has gotten a new fuel pump (GM replacement) and has u joints and new tires waiting to go on. The worst thing I run into is nerves jumping at all new or different noises. That comes reading too many nightmare tales. Turned 153K last week and she is doing fine. Serendipity when you get a fun, unique rig that runs so well and handles dirt, gravel, water…around the ranch nearly as well as paved roads in town. My 2 cents. Ha’penny change s’il vous plais. I have a 1997 Discovery on with over 421,000 miles. It is built up for off-road but the drivetrain is all original. I have driven this Rover everywhere and it has not been an easy 421,000 miles. I often have water over the hood and stuck in the mud. The best vehicle I own and have ever owned. I have also had the Discovery 2, LR3, and LR4; they are nothing like the Discovery 1. I am so torn. 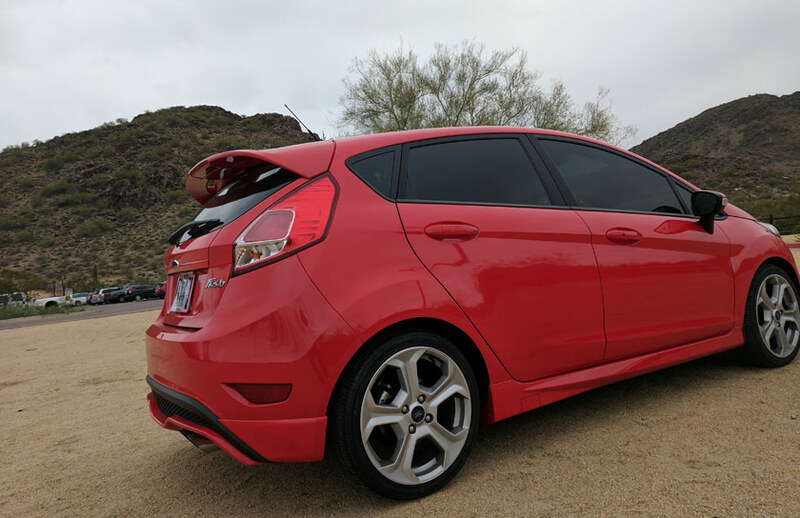 I love the design of the Sport and am looking at a CPO. I don’t plan to spend 100k for a vehicle. Even at 50k I don’t want an unreliable vehicle. I’ve been to the dealer in Santa Fe, NM and wasn’t overly impressed with the attitude of the salesmen. I point out to him that a piece of door trim was out of alignment. The slaesmen popped it back in place as I looked at the window sticker of 119k. Even more unimpressed. Oh come on Bryce, throw me a bone bro. I’m just about to jump into the land of range rover with all fours. I’m Jonesin for a 2006 Range Rover Sport HSE. I’m so absolutely stoked, there’s no turning back. Hoping to befriend many mechanics in the land rover dealership back service complex who will shade tree moonlight realizing fully well the impending ongoing mechanical issues sure to arise. May I propose a prayer circle in support for Jay’s new relationship with Range Rover Land Rover. Expendable income is limited at least light a candle bro. Jay. Ps.- just split the sheet with the trophy wife. She was amazingly frugal. Much as I am in love with my latest endeavor and investment, just might prove to be an entirely different budgetary adventure. Wish me luck! Land Rovers are not reliable. This study is flawed and paid for. Land Rovers have always been ranked as the most unreliable car for years with Jaguars. The 1990’s early 2000’s models require constant pampering and maintaining just to run. Even then you can never be sure. You can find a used Land Rover Discovery 1 or 2 for $2,000-$5,000.00 used – and easily shovel out $6,000 per year in repairs and preventative repairs. Simple things that take 20 minutes to fix on other cars can tale 1-2 hours on these cars. And they must be done “just so”. It’s an absolute pain trying to learn all the quirks. Many mechanics simply refuse to work on these cars out of warranty. Your getting a proven offroad champion – probably the best all around off road car there is. You’re also getting a unique car with a novelty factor. The entrance fee is low to buy used – but the pay to play is high and never stops. There is always something going wrong. These cars are like Afghanistan. You will not win. When you solve one little area another is always popping up. Yes they are “cool” and people like them and you will get random compliments. But unless you have deep pockets with patience for repairs – I would strongly reconsider. I’m currently on my 6th Land Rover, 3 Range Rovers, 2 Discoveries and ‘AirDrop’ ex Military SWB. All my vehicles were well over 150,000 before they were sold and the Discoveries both had over 300K – and never really had an issue. Yes – I’ve done many of the repairs myself, but I’m no mechanic so it’s not that hard(Don’t trust anyone else with my stuff and it’s the easiest way to get ripped!) and I love them. Looking for my 7th now (another Discovery) When buying look at the owners, they are usually the culprits for many of the problems. My background is mining and remote area exploration in Australia. You can’t catch a taxi or walk home if something breaks. Land Rovers are dead as a field or commercial 4wd in australia for that reason. Toyota and Nissan have just set the reliability bar too high for them in that area – not saying they are the pinnacle of 4wd capability – but generally they don’t make you walk home. I have a weakness for italian bikes, Laverda and Ducatis, so I understand how flawed machinery can take over the ‘engagement’ part of your brain. When they are going well, they are great, when they are not…weeell. Landies/Rangies make a comfy, status town car with a very clever marketing campaign behind it. But, please, do not take it into an area where there is no car club or pick-up service to collect you. What is most important is how many watts the sound system produces, and how many speakers and subwoofers a vehicle has. You not only need to make your presence seen in a hot car, but you’ve gotta have plenty of thump in your trunk. That’s all that matters. 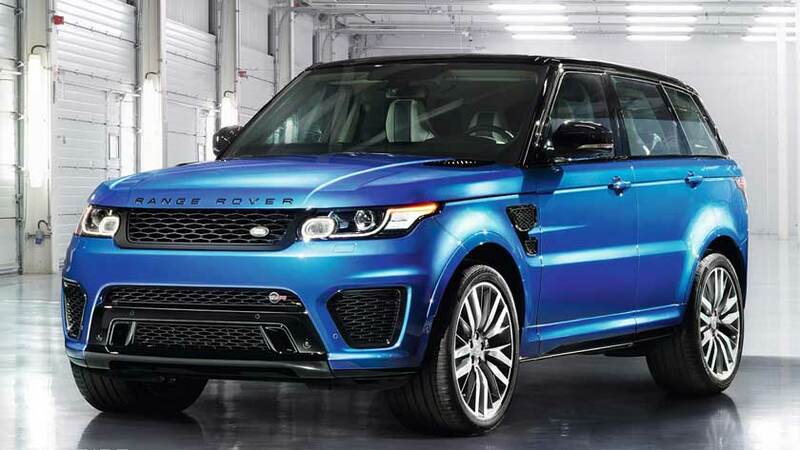 Land Rover vs Range Rover: What's The Difference?